David Powers King: Apocalyptic Advice: The Zombie Survival Can Diet! Apocalyptic Advice: The Zombie Survival Can Diet! Are you tired of convenient, easily accessible food? Are you sick of all the choices at your local market? Wouldn't life be simpler with plain and simple tastes? Well, look no further, Fellow Humans! Because today we're offering you the diet of your lifetime (which can very well save your life!). The Zombie Survival Can Diet! The Zombie Survival Can Diet? What's that, Dave? Food shortages, Famine, Drought, Plague, Bad Hygiene, War, Nuclear War, Armageddon, Fiscal Cliffs, Locusts, Meteor Showers, Asteroid Collisions, In-Laws, Super-Volcanoes, Ice Ages, Tidal Waves, The Death of Justin Bieber, and all other "End of the World" scenarios! Sounds great (and weird), Dave, but ... how does it work? I'm surprised you're still with us, Survivalist-In-Training! 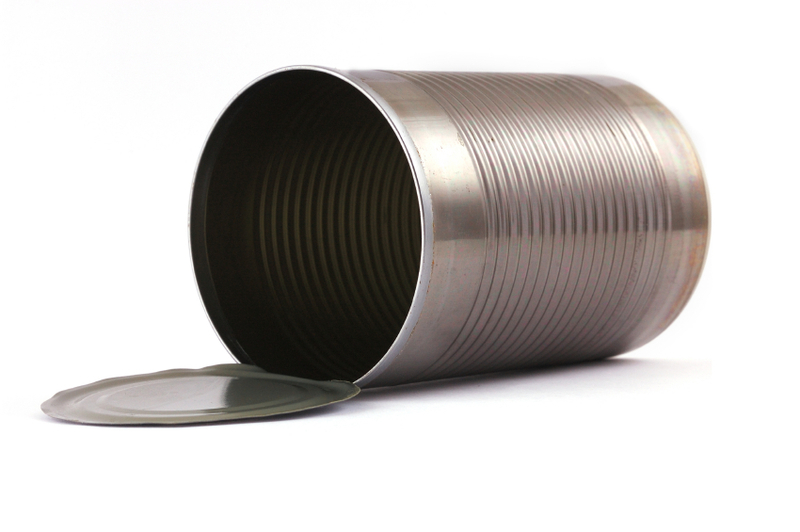 All you need is one empty tin can. 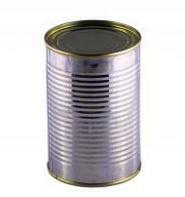 Simply bring your can to the table and fill it with whatever everyone else is having until it's full. Then dig in! You can eat whatever you want, so long as it fits inside this standard 3x4 inch can, three times a day, seven days a week, 365 days a year! It's THAT easy! But wait ... there's MORE! You can also order the Couple-Can, consisting of one 4x7 inch can - a perfect meal sized for two. Or, you can order two 3x4 cans and share some variety with each other as you enjoy your last meal on Earth! And, for a limited time only, you can get yourself the #10 can, which can comfortably fill the tummies of a family of six! Once you get used to these serving portions, you'll be able to better handle a real food shortage without breaking a sweat. It will also keep you from overeating, which promotes weight loss. It's a win-win! That sounds unlikely, Dave ... Why would I do this to myself? Let me give you some real, first-hand accounts, Skeptic Scully! THIS girl chose to not use The Zombie Survival Can Diet - and now she's running for her life, looking like a wuss. Don't be THIS girl. Be THAT girl instead! She's been on the The Zombie Survival Can Diet for years, and she's running from these zombies like a champ! I don't want to be THIS girl, Dave. I want to be THAT girl! For the ilnumerate, that's: Twelve Twenty-One, Twelve! For the complete and FULL package, get your checkbooks ready and dial 8-1-ZOMBIE-CAN! - again, that's 8-1-ZOMBIE-CAN! Our mobile operators are standing (idly) by to take YOUR call! Can YOU survive the coming apocalypse? YES, YOU CAN! Don't starve - just go hungry! Order your cans today! I'm David, and here's a great link to get you started on Clue #3! PS. I just did some math, and $1,200 really is how much you'd pay for a year's worth of 3x4 cans (1,095) for one adult. Trippy, huh? That's right - learn to live on just a little bit, because the fatties get eaten first! I think after a month of that I'd let the zombies eat me. Very cute and clever. I had to teach my kids how to actually open a can with a can opener the other day. Hey, I've got tons of those cans already.. they used to have labels, (Soup, peaches, dog food, etc) but after my kids got a hold of them for a couple of hours it's silver can roulette at our house. I'm now thrilled that I'm ready for the Zombie Apocalypse. Now.. I'm off to go eat my Alpo and Peaches breakfast. Yummy survivalist training. I eat roughly as much as a full-grown man, so these might not cut it for me... I'll probably just become a zombie and then there'll be PLENTY of food around. MMMM. Ha! Another incentive to stay lean. Um yeah, I'm all kinds of zombie-clueless here. Consider me easy prey! There are no words. Just a lot of laughter. Thanks for making my day. What, you can't wash the cans and reuse them? Funny! I wonder how the foodies, who don't like to admit eating out of cans, will get through this. As a zombie, can I pack people into the cans? Well, at least it puts an end to the annoying question "whats for dinner." Just don't buy your can opener at the dollar store. It will never open a can. And didn't I just read a short story where the zombies were stuffing the humans in cans for later consumption. Wonder how much those cans cost? You do realize that with all that running -- it will make you hungrier -- wonder if that's why the zombies just keep coming. Have to figure out how to keep them fed so they stay in one place -- I figure a deep moat filled with 'meat' then we release the gasoline and the match! I'm going to go write my Christmas story! ho ho ho! love this zombie frenzy! where's my can! Ha, I bought a $60 can opener once - it's awesome! !